A catchy subject line: You only have a few seconds to capture a reader’s attention, so the subject line must work to pique the reader’s interest. It should be to the point, and shouldn’t be too wordy. A format that’s easy to read: Even if your content is interesting and insightful, a large block of text quickly overwhelms a reader. To encourage the recipient to dive into the body of the message, break it up into bullet points or include subheadings. Readers are also receptive to numbered lists. This type of formatting helps to make the text more manageable, and increases the likelihood that someone will get all the way through your message. Catchy subheadings: If you’re going to include subheadings, make sure that they work to further your message. Just like the headline of the e-mail, they should stand out and make the recipient want to continue reading. Some incentive for the reader: Consumers are used to receiving e-mails and reading tweets in order to get some kind of benefit. Don’t send out an e-mail unless it provides some sort of perk to the reader. Whether it’s a discount on their next purchase or some exclusive information that they won’t find anywhere else. Incentives are a must for any worthwhile piece of e-mail marketing. A focus on the benefits: Sometimes marketers get so caught up in listing the features that their product or service offers that they forget to touch on the benefits that a customer will receive. Never assume that the reader knows the perks of what you’re offering. Spell it out for them every time. A call to action: So your client read the e-mail message and was interested in what you had to say? Terrific. But without a call to action, they’ll probably just delete the message and never think about it again. Include instructions that feature words like “call” or “buy” or “contact.” Readers often need guidance on what to do next, so make sure to give it to them. Contact information: Many companies have lost potential clients because they didn’t make it easy to get in touch with their organization. Consumers are busy, and don’t want to have to spend ten minutes digging around for your business’s phone number. Provide your contact information at the end of every e-mail, thus making it easy for an interested buyer to get in touch quickly. Links to social media platforms: Many clients see the value in connecting with a brand on Facebook or Twitter. If you are active on these platforms, include links to your page so that consumers can find you there. A consistent voice: If your brand is whimsical and funny, your e-mail should reflect this tone. Consumers will be confused if they expect to read light-hearted content from you, only to find a message that’s packed with jargon. Decide on your brand’s voice, and keep it consistent on all platforms, including e-mail correspondence. Your company’s name and logo: Whenever you get a chance to reinforce your company’s name, take the opportunity. Though the reader is probably familiar with your business’s name and logo, you want to remind them where the information in the e-mail is coming from. 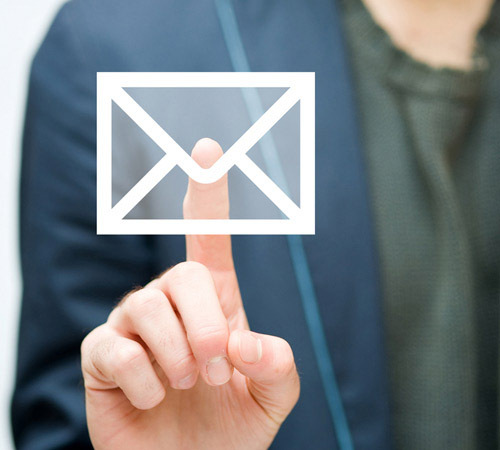 Following these simple steps helps to ensure that your e-mail marketing copywriting efforts are truly bolstering your business’s brand management and connecting with your targeted audience.